This quick, four-part guide explains how to install an SSL Certificate on Debian. The first two sections cover essential configuration aspects, while the latter portions offer general info on Debian history and SSL buying recommendations. How to generate CSR for a Debian Server? 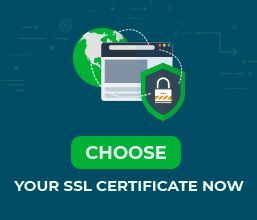 Where to buy an SSL Certificate for a Debian server? Note: Replace mywebsite with your real domain name. For example, if your domain name is example.com, you must enter example.key and example.csr. Country Name – enter the two-letter country code where your organization is officially registered. For the United States you’ll type “US”, for Canada “CA”. If you’re not sure about the abbreviation of your country, you can find it here. Note: For a wildcard certificate, you must include an asterisk in front of your domain name; for example, *ssldragon.com. Do not add “https” or any other characters. An optional company – this is another option attribute. You can add your Brand name, or leave the field blank. Well done! Your CSR and private key files are ready. You can find them in your working directory via the “ls” command. Now, you can copy-paste the whole CSR content in a text editor, and send it to the CA during your order process. Depending on your SSL method, you should receive the SSL certificate within minutes, or in the next couple of days. 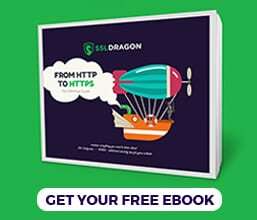 Note: To connect to your site through both HTTP and HTTPS, you need to create two separate files in the sites-enabled directory. The HTTP file will use port 80 to establish the connection, while the HTTPS one will perform the same action via port 443. In the .config file, find the Virtual Host block. You need to edit it to make your website available only via the HTTPS. Note: In the unlikely event that the SSLCertificateFile command doesn’t work, try SSLCACertificateFile instead. Inspect the newly configured Virtual Host block for potential typos and errors. If everything looks good, save the .config file. All that’s left is to restart the Apache server. Run the following commands: apachectl stop and apachectl start. It’s done! You’ve successfully configured your SSL certificate on your Debian server. You can always check the state of your SSL installation with these excellent SSL tools. Debian is one of the earliest operating systems built on the Linux kernel. Fist announced on August 16, 1993, by Ian Murdock, the Debian OS consists entirely of free software. Debian project, a non-profit organization, oversees the development and distribution of new Debian releases. One of Debian’s distinct features is access to over 51.000 software packages, making it the largest software collection. Debian 9 (Stretch) – released on 17 June 2017, it is the latest stable version and includes over 51,000 packages. To help you pick the ideal SSL certificate, we built a couple of exclusive SSL tools. Our SSL Wizard takes care of your searching and recommends the best SSL deal for your online project. On the other hand, the Certificate Filter sorts and compares different SSL certificates by price, validation, and features.